HDL3 particles can nonspecifically pick up cholesterol from the plasma membrane by desorption, but specific high affinity interaction of particles containing intact apo AI with an HDL receptor protein (110 kDA) on the cell surface is required to signal cholesterol translocation from intracellular compartments to the cell surface, thereby enhancing cholesterol efflux (1). Once at the cell surface, cholesterol is removed from cells by appropriate acceptor particles including, but not limited to, HDL. 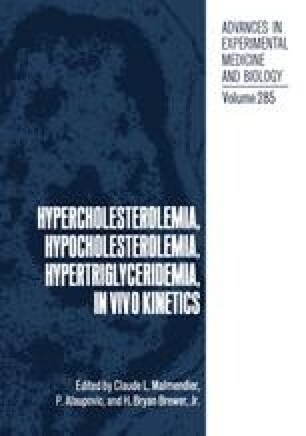 Treatment of HDL particles with trypsin or tetranitromethane will destroy the ability of these particles to signal cholesterol translocation; however, the ability of trypsinized HDL to accept cholesterol from plasma membrane sterol is preserved (2). Thus, cells excrete intracellular cholesterol by a pathway that involves two major steps: the translocation of cholesterol from intracellular pools to the plasma membrane, and the removal of membrane associated cholesterol from cells by exogenous acceptors. It is only the translocation step of this pathway that requires receptor binding of HDL and this is the step that is regulated.